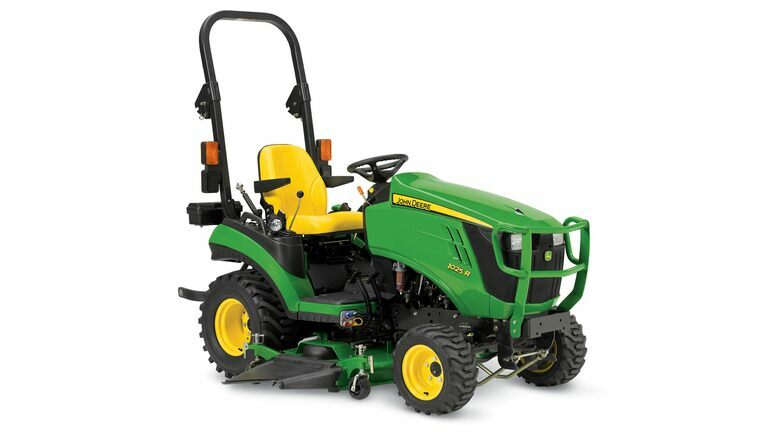 The John Deere 1 Family Compact Utility Tractors are perfect for property owners with about 1-2 acres of land. If your home has lots of trees and shrubs in the way, rest easy! The 1 Family is a smaller framed tractor, ideal for getting in between tight corners or weaving through trees and shrubs. 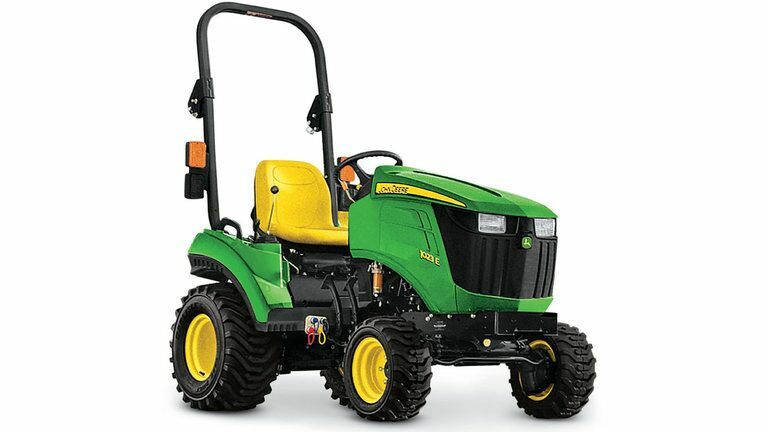 Did you know you can get any 1 Family tractor with a mower deck? John Deere’s Auto-Connect ™ Mower Deck can be installed in 60 seconds and the best part – you don’t even have to get off your tractor! Watch this comparison video for a quick how-to. We’re happy to bring you a small tractor to test-drive on your own turf, just ask us!